Harry and his girlfriend, Cressida Bonas, were taking a night out together at The Rum Kitchen in Notting Hill, when Harry was slipped the phone number of Vincenzo Ianniello. He reportedly accepted the number happily, and promised to call Mr Ianniello if he changed his mind about dating women. Mr Ianniello later tweeted about the exchange: “I gave Prince Harry my number tonight, he promised he’ll call me if he changes his mind about women... or men. Might he accept more numbers? 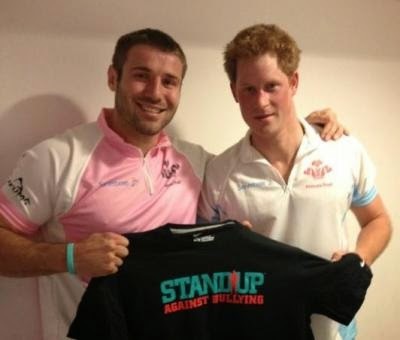 Ben Cohen and Prince Harry "stand up"
Harry is one fine looking man. I would not hold my breath about this one. Gorgeous Prince Harry -- famous for his hard 8-pack- seems very straight to me-- unfortunately. I would not put anything past him if he is drunk enough however-- but in this day and age of cell phone photography he has learned to be careful. 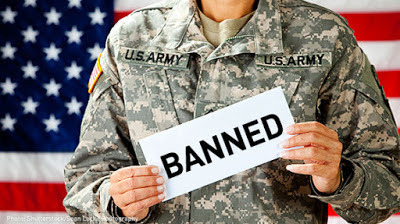 Prince Harry is a big supporter of Gay Rights -- last year Harry almost got into a fist fight defending a fellow soldier -- Lance Corporal James Wharton - from a homophobic attack on his army base in Afghanistan. Harry, as a member of the Royal Family, must stay out of politics -- but he and his brother have been very supportive of LGBT charities and causes ever since their mother, Princes Diana, famously took them to an Aids ward that she supported to meet and shake the hands of the of the very ill patients 20 years ago. And one more thing -- I would not be surprised if Harry and Cressida Bonas did get back together again. 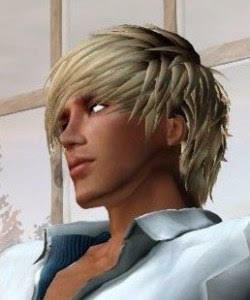 Harry just turned 30 and they are putting pressure on him to marry soon.